John William Bennett lost his life fighting in the Ypres area in 1917. Though he came from Bottesford, he is not remembered on the village war memorial. He is one of the men whose military record was found by Trevor Lewis and Sheila Marriott, to whom we are grateful. Private Bennett was buried Perth Cemetery (China Wall) West-Vlaanderen, and is remembered in the Book of Remembrance in St George’s Chapel, Lincoln Cathedral. John William Bennett (sometimes spelt Bennet) was born in 1887 and baptised on the 25th December, at Bottesford, son of Emily Bennet. Emily was born in 1865, baptised on the 4th of June also in Bottesford, daughter of John Bennett and Anne (nee Preston). In 1871, John Bennett, aged 62, and Ann, aged 45, lived at ‘Farm House’, Bottesford, with seven children of whom Emily aged 5 was the fifth. By 1881, she had left home and was employed as a servant at the house of James Exton on Easthorpe Road. In the 1891 census, John William Bennett was recorded living at Bunkers Hill Cottages, a four year old boarder in the home of George Challender, a 52 year old bricklayer, Ellen Challender, and their children Frederick (26, a bricklayer) and Lizzie (24, a domestic servant). It is probable that John Bennett’s mother was unmarried. John Bennett has not been located in the later censuses, but at appears that he married 20 years old Sarah (Jane) Vale, in 1909, in Grantham. His service record states that he had been living in Long Bennington at the time he enlisted. John William Bennett’s service record has not been found. However, information given in his CWGC record indicates that he enlisted at Newark, and was posted as 14797 Private, 8th Battalion, Lincolnshire Regiment. He was Killed In Action on the 2nd December, 1917, and was buried at Perth Cemetery (China Wall), Ypres, Belgium. 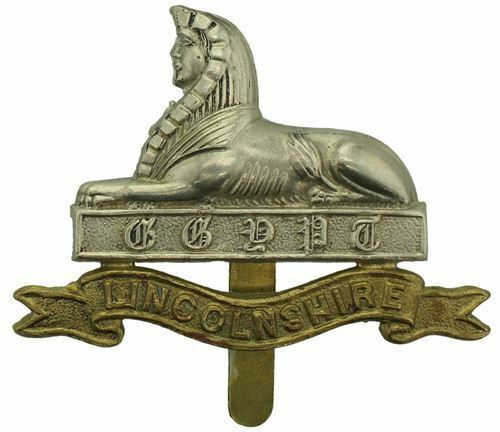 The 8th (Service) Battalion, Lincolnshire Regiment, was part of Kitchener’s 3rd New Army (K3), and landed at Boulogne on the 10th September, 1915. In July, 1916 it became part of the 37th Division, which in late 1917 was engaged in the 3rd Battle of Ypres, taking part in the 1st and 2nd Battles of Passchendaele and other actions. The date of the 2nd December suggests that Private Bennett’s unit was involved in what is referred to as the ‘December 1/2 Night Action’, an unsuccessful attack on German positions at Westroosebeke, north of the village of Passchendaele itself. This was one of the last phases of the 3rd Battle of Ypres, after the official end of the 2nd Battle of Passchendaele. It appears that the 37th Division was not part of this action, but records are confusing and it must be possible that it was in this attack that Private Bennett lost his life. There is a JW Bennett on the war memorial in Long Bennington and at the war memorial in Lincoln. I think this will be my great grandad. I want to try and find out who his dad was, from his birth certificate, but perhaps it is just blank?